Women's Long Sleeved Havasu Shirt is a technical fishing shirt that is designed specifically for hot-weather situations. 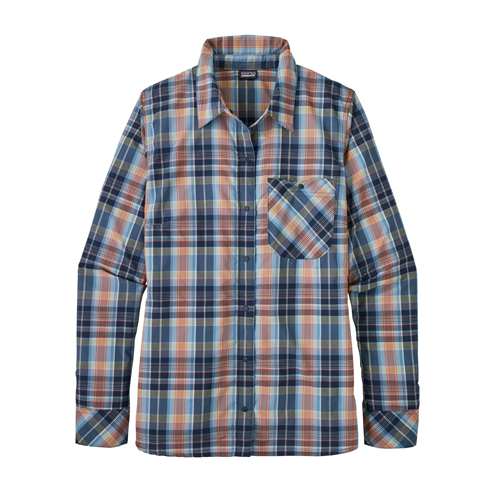 The Patagonia Havasu fishing shirt is the same material as the Sun Stretch Shirt but has a slimmer fit. Quick drying with excellent wicking properties, the Long-Sleeved Havasu Shirt protects your skin from sun exposure but doesn’t sacrifice style. Fair Trade Certified™ sewing. Fabric - 2.2-oz 52% nylon/48% polyester plain weave. Fabric is certified as bluesign® approved.